More than 26 million Americans have asthma, and asthma causes nearly 2 million emergency room visits each year. Every day 10 Americans die from asthma. Asthma is the leading chronic disease in children and is the top reason for missed school days. Asthma is a chronic disease with no cure. Your generous support allows AAFA to provide education and support through our newly diagnosed kits and healthcare professionals training. Your generous support helps the 6 million children with asthma learn about managing their symptoms and incorporating healthy physical activity. 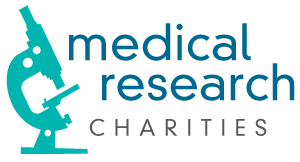 Your generous support funds advocacy for patient rights and research. On behalf of those affected by asthma, thank you for the difference you make. Information: AAFA's Tax ID is #13-1691693. Kids With Food Allergies is a division of the Asthma and Allergy Foundation of America. If you have any questions, contact AAFA at 800-7-ASTHMA.